Call for Internal Investigation: Interference in Collective Bargaining Process of T/E Aides and Paraeducators … Was a Crime Committed? Not all is equal. In the T/E School District, some workers enjoy equitable treatment and benefits while others do not. This is the story about the aides and paraeducators, the District’s lowest paid employees, their collective bargaining efforts and the questionable behavior of those trying to derail the process. Most of you reading this post will have no idea what I am talking about or what has been going on with the District’s aides and paras since January of this year. My association with the aides and paras began last year with the District’s outsourcing threat over the Affordable Care Act and has continued during the collective bargaining process of the last five months. At the request of Ruthann Waldie, UniServe representative for PSEA (Pennsylvania State Educational Association), I have not written about this matter until today. Early on, Ruthann told me that the collective bargaining process for the TE aides and paras was ‘fragile’ and if the effort were to succeed she suggested that I not write about it on Community Matters. I trusted her experienced wisdom and complied. However, during the last 72 hours, circumstances have dramatically changed that make it no longer possible to remain silent. Before explaining the recent actions in the collective bargaining process, it is important to understand the timeline and review the details. 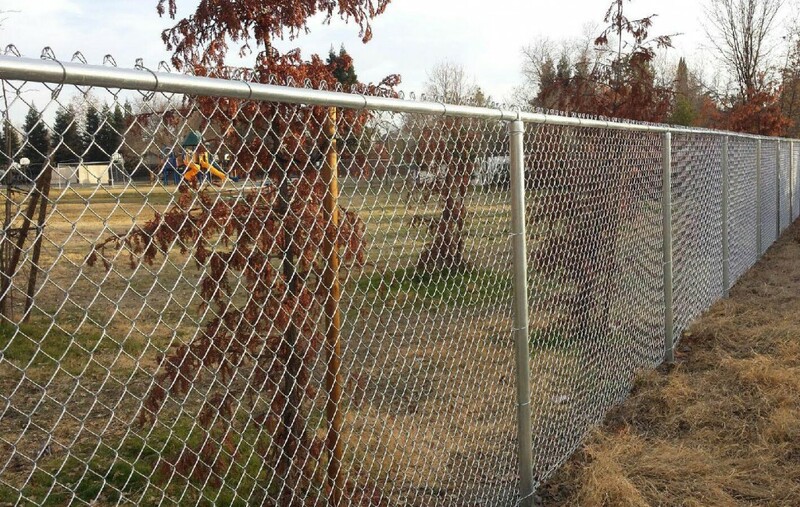 In 2013, after a very loud public outcry, the jobs of the District aides and paraeducators were saved from outsourcing – however, for only one year, the 2013-14 school year. At that time, there was talk among some of the aides and paras about forming a collective bargaining unit but once the school board agreed not to outsource (and to keep their hours intact), the discussion on the subject lessened. However, things heated up again when these employees received a threatening, demeaning memo from Sue Tiede, (the former TESD Personnel Director), in January of this year. Her communication established the 7-minute check-in and check-out policy for the aides and paras, and detailed the progressive discipline measures for violation, including suspension. Tiede’s message represented a continuing trend of disrespect and intimidation directed at the aides and paras. Growing concern returned about possible outsourcing and … with that concern, a sense of urgency among the aides and paras developed. Unfortunately, many of the aides and paras continue to feel undervalued and unappreciated by the administration and references such as ‘disposable’ by at least one school board member have done little to improve their morale. Without representation by a collective bargaining group, the District’s aides and paras are powerless; their continued employment is solely at the mercy of the T/E School District’s Superintendent and School Board. As a result, a small group of determined, dedicated aides and paras came together in early February to discuss options and plot a course of action to improve their working conditions. According to Ruthann Waldie, PSEA representative, the aides and paras could not join the District’s teachers union because they were not considered ‘instructional’ employees. Furthermore, Ruthann explained that due to a law change five years ago, the aides and paras were prohibited from forming their own ‘new’ union when a qualifying union already existed. As explained, TENIG (Tredyffrin Easttown Non-Instructional Group) the District’s qualifying union with non-instructional employees and therefore, the aides and paras would become part of that group. Before the collective bargaining campaign was officially underway, I spoke with TENIG president, Mary Minicozzi to ask her opinion about adding the 176 District aides and paras to their union. Her reaction was overwhelmingly supportive, stating that she was 110% in favor. I invited her to attend the upcoming organizational meeting with all the District aides and paras and PSEA representatives. Mary confirmed that she would attend the meeting and that she would ask fellow TENIG members to also attend. However, something happened between that phone conversation and the organizational meeting a few days later. Mary did not attend the meeting nor did anyone else from TENIG attend. To my knowledge, she has had no further contact with any of the aides and paras since that point. Over the course of the following four months, we learned through PSEA representatives, that Mary was no longer supporting the idea of the aides and paras joining TENIG, although it remained unclear as to why. However, the PSEA representatives continued to tell the aides and paras that it did not matter because the law required them to join TENIG. The organizing campaign for the aides and paras continued to move forward. On February 21, the T/E School District and the School Board received official notification regarding the aides and paras interest in collective bargaining. Once notified of the organizing campaign, the PA Public Employee Relations Act 195 protected the aides and paras from any interference, threats, harassment, reprisals, etc. from the District during the process. (Or so we thought). The T/E School Board hired solicitor Jeffrey Sultanik of Fox Rothschild, LLP to represent the District in the aides/paras collective bargaining process. As an experienced labor relations attorney and school district contract negotiator, it is clear that Sultanik counseled school board members against interfering in any way with the aides and paras in the unionizing process. As their legal counsel, Sultanik would have explained the liability issues to the District if tampering occurred in the collective bargaining process. Likewise, that same warning would have applied to all District administrators, including the superintendent. 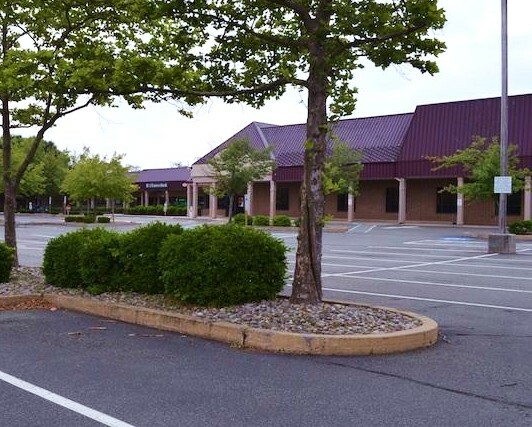 Before the Pennsylvania Labor Relations Board (PLRB) in Harrisburg will schedule an election, there must be a suitable showing of interest by the employees in forming a union. PLRB requires a minimum of 30% of the effected bargaining unit employees to show interest by the signing of a ‘union assignment card’. The card does not indicate whether you would vote for or against a union – the signature simply signifies that you are in interested in moving the process forward and that you desire the appropriate local union (in this case the PSEA) to represent you for the purpose of collective bargaining. However, we learned that PSEA’s policy was to have at least 60% of the eligible employees sign the cards as an indicator of their commitment to the bargaining process. As the campaign progressed, aides and paras from the eight District schools showed support for the collective bargaining process by signing the cards. (Due to years of intimidation and low morale issues in the District, the process however, was very slow.) In early May, after receiving 94 signed commitment cards, the PSEA representatives filed with the PA Labor Relations Board for an election for the aides and paras to join TENIG. Upon approving the collective bargaining application, the PLRB was to set up a conference call between (1) the PSEA representatives, (2) the School District representatives and (3) the PA Labor Relations Board. The purpose of the conference call determines all the rules and details around the election and sets the date for the actual election. The aide and paras hoped that if the conference call occurred by early June, PLRB would schedule the election for before June 20, the last day of the 2013-14 school year. To vote in the election, you must be an eligible employee. All 176 aides and paras are eligible to vote (whether they signed the commitment card or not). TENIG members are not eligible to vote. The PLRB requires that the union receive 50% + 1 votes of all employees who cast ballots. (Example: if only 10 eligible employees showed up to vote, the count needs to be six voting yes). Unfortunately, the scheduled conference call between the Labor Relations Board, PSEA and the School District was delayed until June 18, which in turn pushed the election to September, after school starts. Although the aides and paras were disappointed to learn of the election delay, they had fought an uphill battle to come this far and remained committed to staying the course. Then the unthinkable occurred this past Thursday, June 5 … the reason for this post. A pre-selected group of 6-8 aides and paras received word in a PSEA conference call that their collective bargaining application would be withdrawn from the PA Labor Relations Board. Why? Because Mary Minicozzi, president of TENIG, did not want the 176 aides and paras in her union. During the call, the PSEA representative further stated that the aides and paras would now need to start the campaign process all over again to form their ‘own’ union in the District. Many TENIG members have worked together with the aides and paras in the T/E School District for years. The aides and the paras are their fellow District employees and TENIG workers know all too well, what it is like to be the target of the school districts’ outsourcing ax. It seems highly unlikely that if the issue had come to a vote, that the TENIG members would have voted against including the aides and paras. Why would they? Adding 176 more employees to TENIG would increase their collective bargaining group to over 300 members. And let’s not forget that PSEA’s Ruthann Waldie told the aides and paras from the start that ‘legally’ they had to be in TENIG – as she explained, it was their only option. She had further indicated that because it was the law, it did not matter whether TENIG wanted them or not. The PA Labor Relations Board has already fielded calls from the District aides, paras and even TENIG members demanding answers – and some have already reached out to attorneys. How is it possible that the TENIG president can control the future of 176 aides and paras in the T/E School District? If Mary didn’t involve her fellow TENIG members in the decision-making process, exactly who was involved. I find it impossible to believe that she acted completely on her own. It makes no sense — Why would you not include 176 additional workers in a union; adding the aides and paras would increase TENIG’s collective bargaining group to over 300 members strong! We know that Mary’s decision was not based on an impending TENIG contract. If you recall, Mary signed a new TENIG contract in September 2013, 9 months before the existing contract was set to expire. The new 3-year TENIG contract begins July 1, 2014 and goes to June 30, 2017. I will not believe that Mary Minicozzi made this decision on her own – what did she have to gain? Was there a promise of something in exchange? Why did Ruthann Waldie repeatedly tell the aides and paras that the law required them to join TENIG when this week the story changes and now are told they must form their own union? Things just don’t add up. It reminds me of the line from Shakespeare’s Hamlet, “Somethings rotten in Denmark”. Section 1201, Article XII, Unfair Practices of the Public Employee Relations Act states that public employers, their agents or representatives are prohibited from engaging in ‘unfair labor practices’. As defined by Public Employee Relations Act, unfair labor practices include a couple of relevant sections: (1) Interfering, restraining or coercing employees in the exercise of the rights under Act 195 and (2) Dominating or interfering with the formation, existence or administration of an employee organization. We know that interference has occurred in the collective bargaining process of the aides and paraeducators of the TE School District. At the ninth hour, the collective bargaining process was derailed. Why would anyone risk the legal ramifications of tampering with the process? Who is involved and why? Did the president of TENIG act alone or was she coerced? Did the Superintendent, the School Board or the District Solicitor know what was going on? For the record, as of Friday, June 6, an attorney at the PA Labor Relations Board reported that the aides and paras collective bargaining file remains open and their application active. By exposing the interference in the collective bargaining process, maybe there is a chance that this situation can ‘right itself’ and continue to move forward with the June 18 conference call and a September election to join TENIG. The District aides and paras have earned this right. The T/E School Board has a fiduciary responsibility to those who have elected them to serve as advocates and stewards of our school district. I do not want to believe that any member of the School Board was involved nor had any knowledge of the derailment of the collective bargaining process of the aides and paras. With accusations of interference, tampering, collusion, misconduct, etc. swirling, the Board needs to act quickly. I suggest an internal examination to figure out ‘who’ knew ‘what’ and ‘when’. The PA Labor Relations Board may deem there is sufficient evidence to conduct their own investigation and if I were T/E School Board directors, I would want to be out in front of such an investigation not behind it. The T/E school board has launched a search for a new superintendent and is seeking input from the public through an anonymous survey, “Stakeholder Survey – Superintendent Succession Planning”, available online through noon on Tuesday, June 10. Participants can weigh in on the qualifications and experiences that they think are most important in a superintendent as well as the strengths and needs in the district. Public input is important throughout the superintendent process and this online survey allows stakeholders (District residents, parents, students and employees) to provide comments that are a valuable part of the search for the next superintendent. The answers should help guide the school board in the superintendent search to replace current TESD Superintendent Dr. Dan Waters, who will retire from the school district on June 30, 2015. The following seven questions are on the survey, each with a pick list of responses. Please select the stakeholder group(s) that best describes you. Please select the top 5 traits you believe are most important for Tredyffrin/Easttown School District’s new Superintendent. Please select the top 5 strengths of the Tredyffrin/Easttown School District that the new Superintendent should be expected to maintain or enhance. Please select the top 5 qualifications which you believe are most important for Tredyffrin/Easttown School District’s new Superintendent. 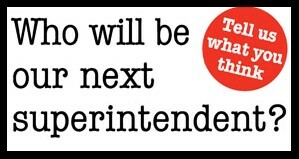 Please select the top 3 opportunities and challenges you believe our new Superintendent will face. Select at least 3 and no more than 3. According to the District’s website, the survey results are to be made public. However, beyond making the survey public, will the results of the survey affect the Board’s selection process? The feedback reflects the unique needs of the community … how will the results be used by the Board. Having the community, parents, school district employees and students involved in the superintendent search process provides support for the school board and will lead to a more favorable public perception and build trust. Sharing the survey results and the search progress in an open, transparent atmosphere makes us, the stakeholders, feel appreciated that we were consulted in the selection process and therefore, more inclined to getting the new superintendent off to a successful start. If the superintendent search is conducted behind closed doors, the new superintendent becomes promoted as the Board’s superintendent, not the community’s superintendent. Some school board members believe that owing to their election by the community, that they have the right to make all decisions, start to finish, which effectively leaves the residents in the dark about the affairs of the school district. Taking that stance puts the District in a “no need to know” mode – which may lead the Board to conduct the superintendent search in secret or mostly behind closed doors. I have attended many school district committee and board meetings and often a prevailing attitude of “we know best” by some Board members and administrators exists. Frequently attendance at T/E school district meetings is low unless there is an issue of personal concern to residents. Unfortunately, some Board members (certainly not all) equate minimal citizen participation at meetings as a stamp of approval for their governance; believing that the small group that regularly attends meetings (and is vocal) is not representative of the community. Regardless if five or five hundred people attend meetings, this community owns the schools and should be involved and kept fully informed regarding its investment. Don’t get me wrong, I support the survey (and the inclusion of all stakeholders views in the process) but the survey results need to actually ‘count’ and not serve merely as window-dressing for the Board in the selection of the next superintendent. Most of the questions on the list are standard and the pick-list of responses to be expected. 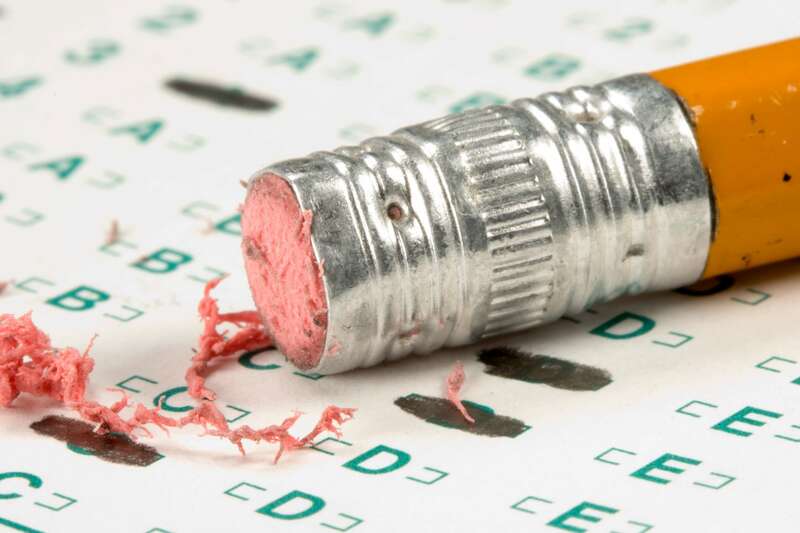 Some of the questions asked of survey participants appear to be designed to generate an intended result whereas one question ignores important issues facing the District. As an example, the #7 question completely overlooks significant concerns in the District, such as school safety concerns, drug and alcohol usage by students and low morale of employees — just some examples of important challenges facing the future superintendent. Please take the time to fill out the District survey on the superintendent search. The final decision on the superintendent choice is ultimately up to the school board but the community’s involvement in the process is critical. 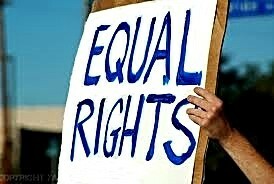 It’s official, the aides and paraeducators of TE School District are taking the necessary steps to unionize. As announced by Supt. Dan Waters at last night’s Finance meeting, this group of employees is currently engaged in the process to join the collective bargaining unit TENIG (Tredyffrin Easttown Non-Instructional Group). If you recall last spring, the District’s aides and paras came very close to having their jobs outsourced over the Federal government’s Affordable Care Act. Because of ACA compliance issues, it appeared that the District would be forced to either offer insurance or outsource the jobs of the aides and paras. At that time, the Board claimed that the District could not afford healthcare for these employees and could not risk the possible financial risks for ACA noncompliance. As a point of record, the TE School District is the only school district in the area that does not offer healthcare coverage for this group of employees. Unfortunately, without the benefit of a collective bargaining organization there was little that the aides and paras could do to fight back against the proposed outsourcing of their jobs. In the end, the Federal government pushed off the required ACA compliance for another year. As a result, the School Board granted the District aides and paras a reprieve for the 2013/14 school year; their jobs and hours remaining intact for one more year. As the current school year ends, what has changed for the District aides and paras during the last twelve months – are they any better off than they were a year ago? Based on their moving forward with plans to collective bargain, my guess is the answer to that question is ‘no’ – nothing has changed. Without job security and healthcare benefits, the aides and paras are now seeking protection of their jobs and collective bargaining representation for their own jobs and for the jobs of those that will come after them. They seek fairness and consistency in employment policies and personnel decision, job security and protection of employee rights. The community respects the passion and commitment of the aides and paraeducators to the parents and children of this District and values their contributions. It saddens me that this group of vulnerable, dedicated employees remains the school district pawns, at the mercy of the Board and the administration. Supporting the need for an organized voice, the District aides and paras believe that all employees deserve fair and equal treatment. Standing on the sidelines changes nothing — I applaud the collective bargaining efforts of the aides and paras. ; they deserve to be treated as full players not as an afterthought. 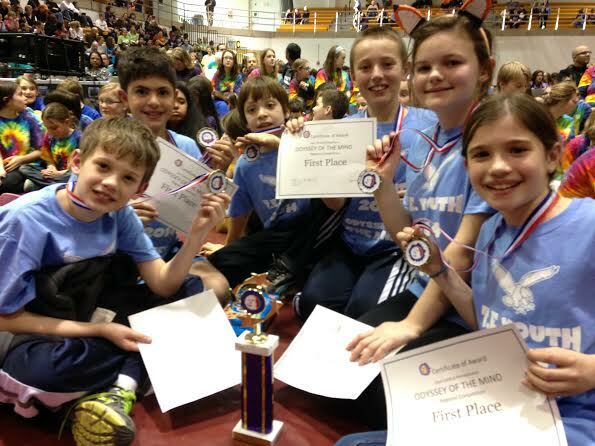 TE Students Advance to 2014 World Finals of Odyssey of the Mind Competition — Need Community Help in Funding Trip! For the first time, Tredyffrin Easttown School District has qualified to attend the “Odyssey of the Mind” World Finals. The Odyssey of the Mind began in 1978 and is the largest international creative problem-solving competition worldwide. The competition helped pioneer the idea of creative problem solving as an educational tool and emphasizes teamwork, creativity, and problem solving. Students learn how to identify challenges and to think creatively to solve problems and are not only encouraged to think “outside the box” but are rewarded for such thinking. The TE Youth Odyssey of the Mind team of six students, four from Valley Forge Middle School and two from New Eagle Elementary School has had the quite the journey to get to this place. The TE team members Chloe Wynn, Genevieve Duska, Alexander Hallam, John Serafim, Leo Guillen and Nicholas Sonn first had to beat out sixteen Division 1 teams at the Regional competition in March. After the regional win, the TE team moved on to the State Finals in April, successfully beat thirteen teams and secured their spot for the 2014 World Finals at Iowa State University in Ames, Iowa. The 35th annual Odyssey of the Mind World competition will represent the most creative problem-solving youth from around the world coming together to exchange a wide variety of ideas on how they all solved the same problems in different ways! These kinds of international educational programs hold the hope for solving the real-life problems facing our world. These students will be the Bill Gates, Albert Einsteins and Steve Jobs of the future! In a few short weeks, May 28 – 31, Chloe, Genevieve, Alexander, John, Leo and Nicholas will compete for the title of World Champion against teams representing more than 30 countries! In order to take part in the World Competition, the TE team needs to raise at least $10,000 to cover the entry fee, the cost of room and board, and travel to Iowa State University. Failure to raise the needed money will prevent the teams from participating in this unique opportunity to not only compete against but to meet students from all over the world. This is a once-in-a-lifetime event for Chloe, Genevieve, Alexander, John, Leo and Nicholas and they need our help in funding their trip to Iowa. A website for the Odyssey of the Mind World Finals trip has been set up – www.teyouth.org and you can make donations online or with a check. As of this morning, contributions are listed at $2,815. Please take the time to visit the website and make your donation – no donation is too big or too small. Let’s get behind and show support for Team TE! At the T/E School Board meeting last night, the Board approved the 2014-15 proposed final budget as follows – The Proposed Final Budget for the 2014-2015 school year is in the amount of $117,254,089 revenue, 2,671,891 fund balance transfers and $119,925,980 for appropriations on a tentative basis. 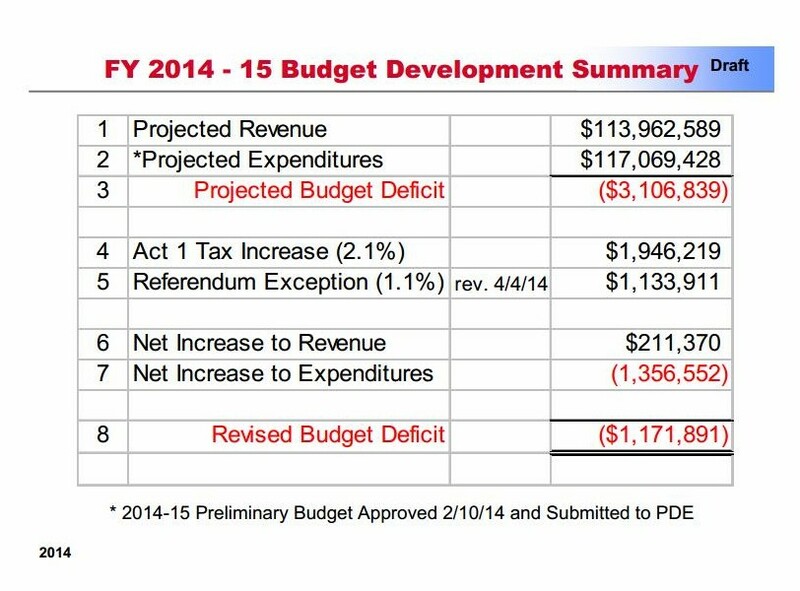 As presented, the ‘Budget Development Summary’ slide below indicates that the projected expenditures of $117,069,428 exceed the projected revenue of $113,962,589 = projected budget deficit of $3,106,839. With a tax increase of 3.2% (Act 1, 2.1% and exception, 1.1%) plus a net revenue increase of $211,370 and a net expenditure increase of $1,356,552, the revised budget has a remaining deficit of approximately $1.8 M. It is proposed that the $1.8 M will be satisfied with a fund balance contribution. The final budget is to be approved in June. Once the revenue and expenditures projections for the 2013-14 school year are in, it will be interesting to see if the District ‘finds’ surplus dollars. If you recall, the District has found mega-millions in surplus the last two years in a row. Unfortunately, for taxpayers, each year the money has been ‘found’ until after the next year’s budget was passed (with a tax increase). The budget surplus was $3.9 million for the 2011-12 school year and nearly $5 million for 2012-13 school year. It’s never been entirely clear what caused the budget surplus these last two years although I do recall that “lower than anticipated insurance costs” was used to explain a portion of the surplus. I have to believe that the Board would not approve a 3.2% increase for the taxpayers only to discover a budget surplus for the third year in a row. Not sure that there could be a valid explanation if that were to happen. Another couple of notes from last night’s meeting. In the update from the Public Information committee meeting, Scott Dorsey announced that the process by which the public asks questions at School Board meetings and the Board responds has moved to the Policy Committee for further discussion. The next Policy Committee meeting is Friday May 9 at 12:45 PM at TEAO. School Board President Kevin Buraks formally announced that Supt. Dan Waters will retire at the end of his current contract which ends June 30, 2015. Regardless of how people personally feel about Waters, his time remaining on the job is winding down – a little over a year left on his contract. As announced by Buraks, there is discussion underway about the process/search to hire his replacement. It appears that the Board will be utilizing the experiences of Jeanne Pocalyko, the new Personnel Direct, in conducting the search. A note on the TESD Superintendent search from last night’s Board meeting. A Board Search Committee has been appointed. Members I think: Graham, Cruickshank, Bruce, Carlson but I could have missed someone over the general hubbub at the beginning of the meeting. There will be a survey to get public input sometime in May. 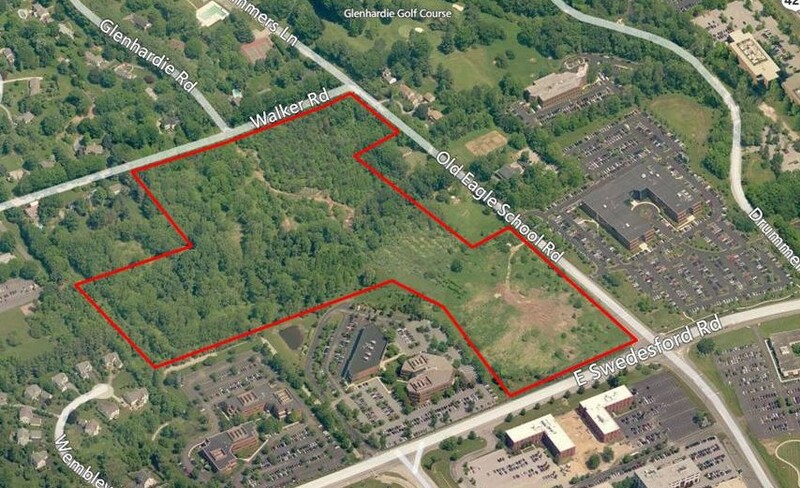 I wonder if they will ask meaningful questions: eg: From inside or outside the district? Re the above, definitely or preferably? Experience as a Superintendent? Rank a given set of possible selection criteria in order of importance? (Or, rate importance of the criteria, but all could be 10 out of 10). Criteria such as: experience in a high performing district; track record of improving educational results; track record of meeting budget; demonstrated public communication expertise; employee satisfaction results, and so on. In her prior position at Dallastown Area School District (DASD, Pocalyko and the Superintendent search committee took a ‘community engagement’ approach and included administrators, teachers, parents, support staff, students, community and committee members in the effort. Although ultimately the final determination and selection of the new Superintendent remained the responsibility of the DASD Board, the decision process included the compilation of stakeholder feedback, interview results and comments from each interview round, reference checks and the school board’s consideration of district needs and input from the Committee.